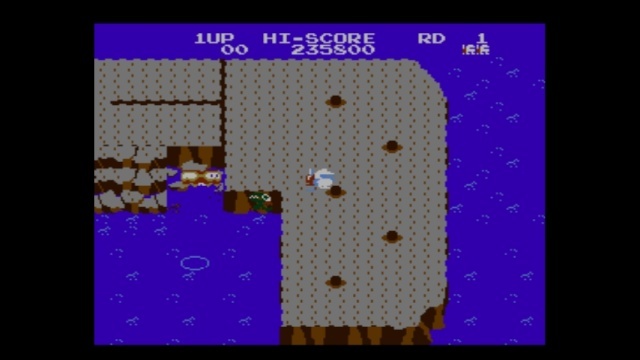 The gameplay in Dig Dug II is fairly simple, but extremely challenging. You are armed with a harpoon that can inflate enemies and pop them for a small number of points and a jackhammer that can make cracks in the island and sink sections of the island. Drowning enemies award players with a very large amount of points, especially if you drown a large number of them in one go! Sinking three sections of the islands causes a fruit, vegetable, beverage, or mushroom to show up which is worth anywhere from a small number of points to a rather sizeable number depending on the item. The game possesses seventy-two stages which can take two to four hours to complete as well as an additional hard-mode that can be played after beating the first seventy-two stages and possesses smarter and slightly faster enemies! The game is rather strange in-terms of difficulty as the level of difficulty ramps-up until the sixty-fourth stage and then suddenly becomes easy during the final eight stages. 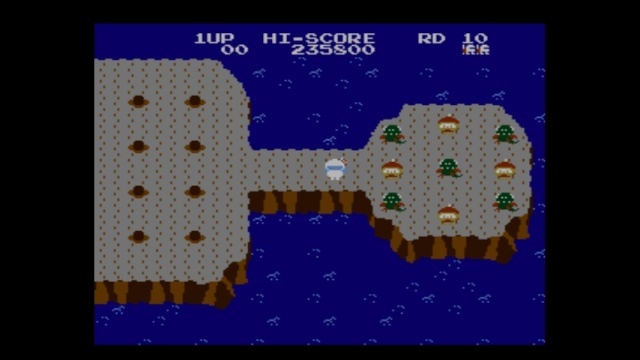 The controls are very simplistic, being an NES title, that's not surprising, however you'll need quick reflexes in order to save yourself in some of the more challenging stages. The Gamepad's Off-TV-Play feature is great for this kind of game and you never have to worry about losing your high-score or progress in the game thanks to the save-state feature so overall this game might actually be superior to its original NES release! Visually the game has aged well, by NES standards anyways, with colorful characters and stages. One thing that really impressed us was the quality of the emulation in this title, there's no frame-rate dips or visual bugs such as "ghosting" or darker and muddier visuals that are prevalent in many other titles on the Virtual Console Service, which is an absolutely incredible feat on Bandai Namco's part! The audio has a few issues such as very rarely skipping music notes and such, but isn't a major issue. The sound effects are standard arcade fare which isn't necessarily a bad thing and the music is very catchy and enjoyable. 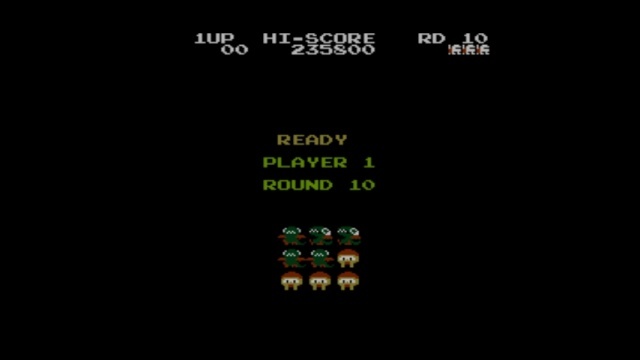 Perhaps not as memorable as Bubble Bobble's theme song, but both of Dig Dug II's songs are pretty catchy. The game over jingle is also very iconic in our opinions! Overall the audio-visual presentation in the game is superb with only a few minor issues! 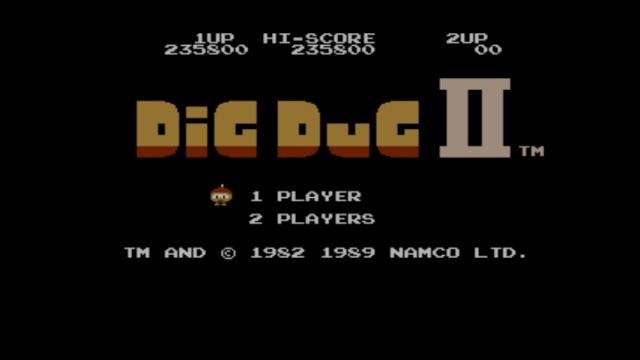 With solid gameplay, excellent controls, great new features courtesy of the Wii U Virtual Console service, and a superb audio-visual presentation that has very few emulation issues, Dig Dug II is a quality title that we highly recommend downloading especially for its price! So if you haven't downloaded the game yet, do yourself a favor and download it ASAP! Our 498th review is now live! Dig Dug II is awesome! Nice review @Ichigofan. Great review yet again @Ichigofan! Thanks for all of your wonderful comments you guys.